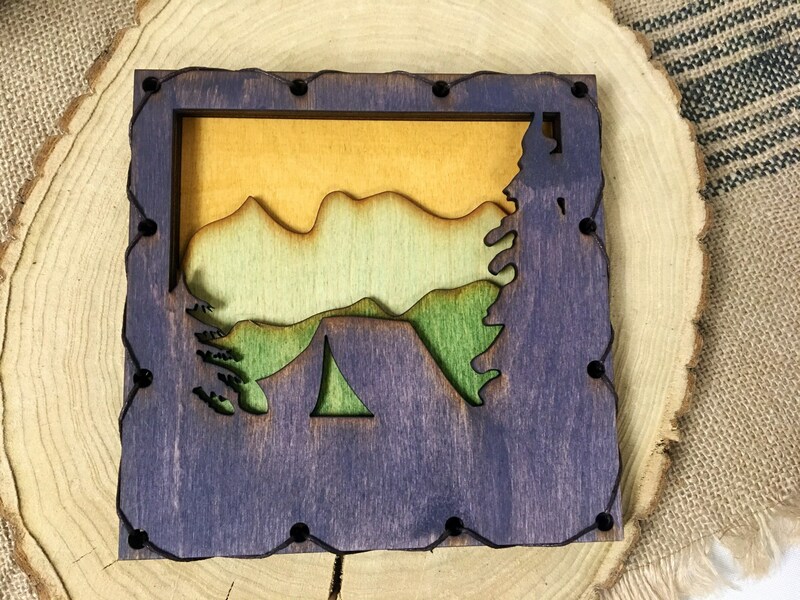 Mountain Silhouette wall art that reflects the vibrant color of the mountains. 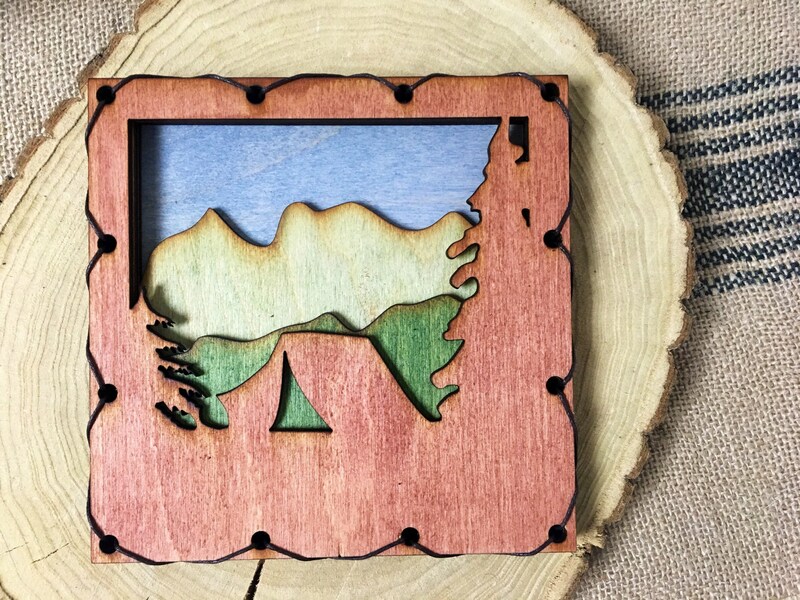 Each piece has 4 layers of mountains and trees set in relief. Each panel is laser cut and stained, and then stitched together with linen thread. Camping scene with a tent silhouetted against green mountains. This version is 6 inches x 6 inches. Golden sky with green layers of mountains and a Blue tent. Blue sky with green layers of mountains and a Red tent. Golden sky with green layers of mountains and a Purple tent. Due to the nature of... Mother Nature... no piece will look exactly alike. 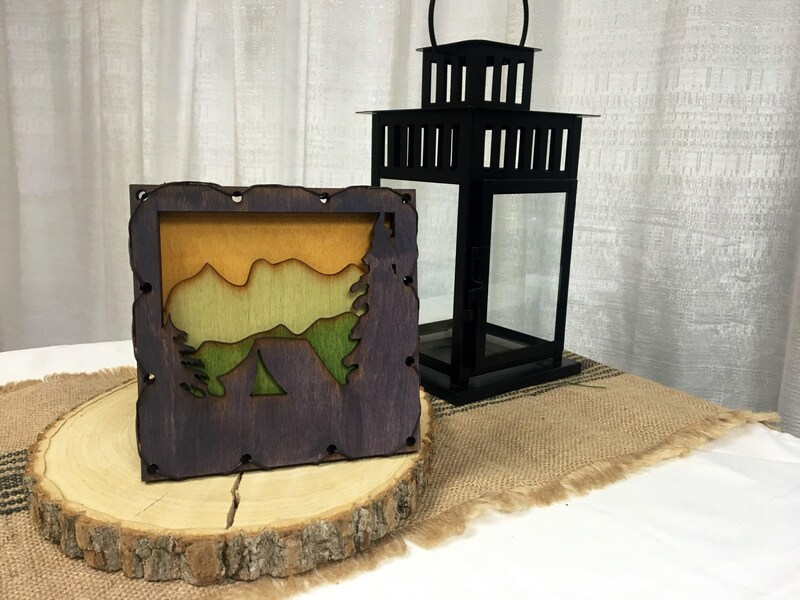 Each piece will vary slightly in color, density, grain patterns, knots, etc. The world is full of these pleasant little surprises! Thanks so much for stopping by! 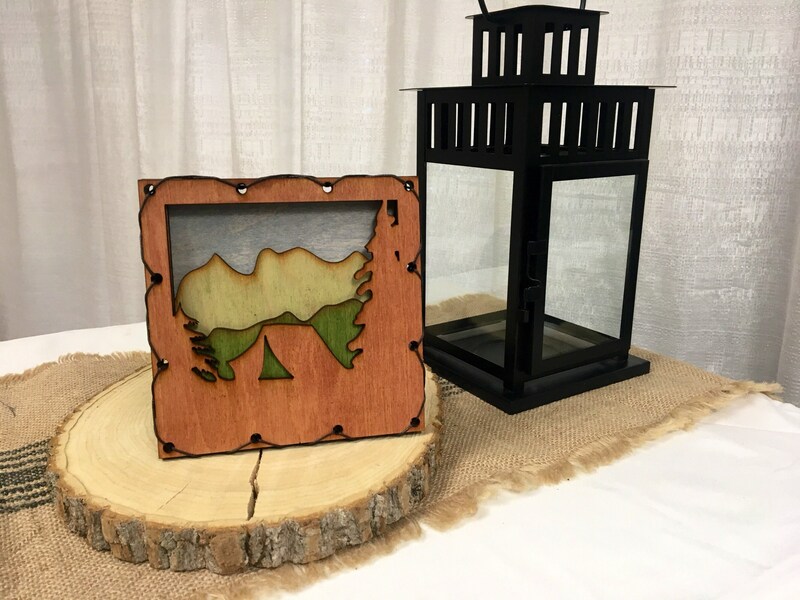 These items are perfect for remembering your time in the mountains, or celebrate an anniversary or birthday with a handmade gift from the mountains. I’m an approved Etsy Wholesale seller. If you’re a retailer, ask me for my linesheet. I am also on Etsy under the shop name IrishNotes and TheGirlsGotSoul.